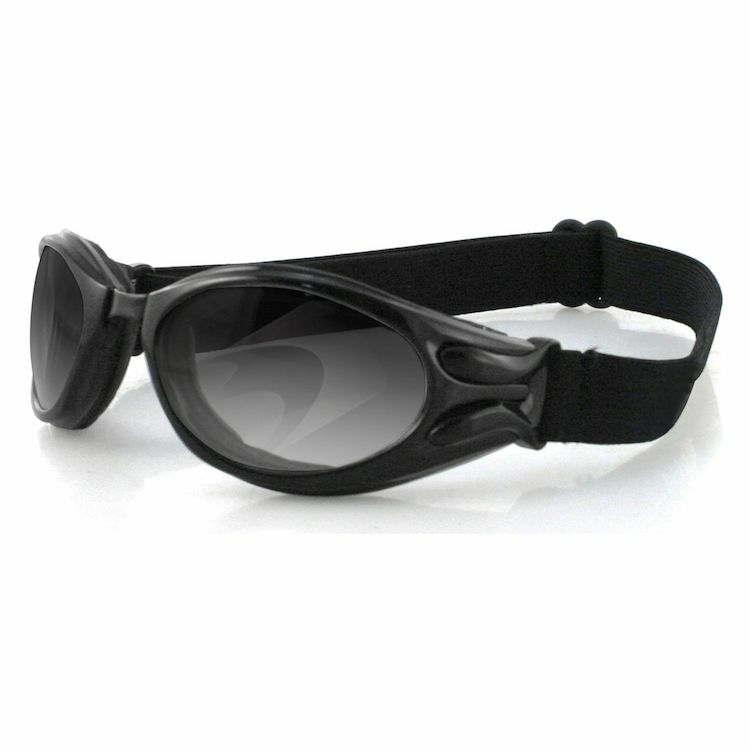 The Bobster Igniter is a compact goggle with photochromic lenses so it can be used in all lighting conditions. The closed cell foam helps to create a wind free environment to eliminate eye tearing. The lenses are photochromic, starting with a light tint (85% V.L.T.) and transform to a medium grey (25% V.L.T.) in bright UV light. The polycarbonate lenses are shatter resistant and come with an anti-fog coating. The Igniter also comes with a microfiber pouch for easy transport. Very functional for days and rides with variable sunlight. Rather that stop and staring to take my sunglasses on and off, I solved the problem by getting these goggles that adjust to the light. Now light conditions are always perfectly comfortable for my eyes. The transition lens. They however don't work well with my bell Rogue helmet.